Others have written before me about this paper by William Baumol. As it is very often the case with good papers, the main idea is quite simple. Scholars and policy makers are obsessed with entrepreneurship. They discuss prime examples such as Apple, Amazon and Google. And every local politician would love to have a Silicon Valley in his backyard. But at its heart, entrepreneurship is nothing more than people seeking economic opportunities. And, depending on the incentives a society provides, these businesses can be either socially valuable, a waste of resources, or, in the worst case, even destructive. Baumol draws extensively on historical evidence to convince the reader that society’s incentives for entrepreneurs (what he calls “the rules of the game”) are (1) changing over the course of history and (2) determine to a substantial part the growth of an economy. His example of ancient Rome is particularly illustrative. Knowledge was quite advanced in the Roman society. They even knew about things like the water mill or a form of the steam engine. However, the economic potential of these inventions was never realized. Roman elites preferred to (letting their slaves) engage in agriculture and live from the rents of their land and taxes. Technology like the steam engine, by contrast, that is heavily associated with the Industrial Revolution in the 19th century, was used to open temple doors. 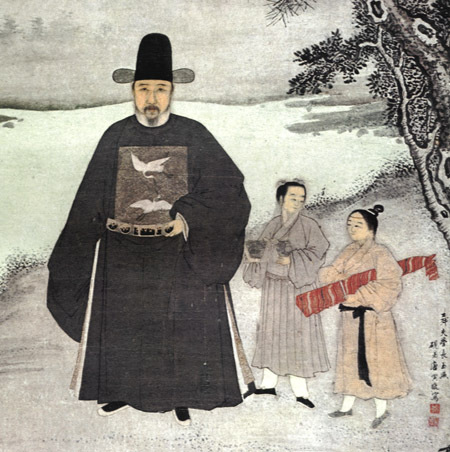 Medieval China provides another example for unfavorable incentives, where climbing the social ladder meant that you had to know the classic texts of Confucius by heart in oder to pass the very difficult Imperial examination. The reward was a lucrative governmental position and wealth, again based on taxes. But Baumol aims to show the opposite example too. Namely, that there were episodes with a favorable entrepreneurial climate, with substantial diffusion of technology, before the beginning of the Industrial Revolution. He points to the later Middle Ages, at the end of the 11th century, when the emergence of free cities provided protection from arbitrary taxation and some economic opportunities for former serfs. Indeed, Baumol doesn’t agree that the entrepreneurial climate was constantly increasing over the history of mankind, eventually leading to the sustained growth in world GDP since the beginning of the 19th century. He rather sees conditions fluctuating over time with favorable periods followed by downturns and vice versa. Even today, society isn’t immune to “destructive entrepreneurship”. At the end of the 1980s, when the paper was written, corporate raids provided an example. Today, the problem of patent trolls reminds us of the prevalence of distorted economic incentives. What I like about the paper is its behavioral perspective. Trade and commerce weren’t uncommon in ancient Rome. Mostly it was the business of freed slaves, some of them even got quite wealthy with it. Social position, however, was tied to the possession of land or being part of “the club”. Involvement in industry wasn’t seen to be an honorable occupation. The agents in our economic models usually maximize a form of wealth or consumption. Nevertheless, the human desire for social status is a strong one. It’s perfectly plausible that the old Romans wasted good opportunities in industry and trade, that could have made them very wealthy (like using the steam engine for production or transportation) but were seen as not suitable for man of the upper classes. Among nobility, being an industrialist was never really fashionable. In England, beginning with the Glorious Revolution, the merchants and wealthy bourgeoisie, however, managed to slowly lose their stigma. They gained political representation in the British parliament and were able to keep the monarch under control. Why didn’t this happen in Rome? Baumol hasn’t much to offer here. His “rules of the game” change without an explanation, almost in an exogenous manner. Fortunately, Acemoglu and Robinson can provide an answer in their book “Why Nations Fail”. In Rome, a class of citizens emerged that apparently lived on the basis of extractive institutions, by exploiting the lives and land of others. This class wasn’t interested in any economic or technological progress, as they already lived a quite comfortable life, and distributed political power solely among themselves. In England, because of a series of historical events (read the book if you’re interested in which), nobility and the monarch himself were much more constrained. They had to obey the rule of law which provided some sort of personal and economic freedom. This is the basis for socially valuable forms of entrepreneurship and investment in new technologies. Whereas under these so-called inclusive institutions persons use their talent in productive ways, your only goal under extractive institutions is to become an exploiter yourself. Previous Previous post: Fighting for Greek Souvereignty?